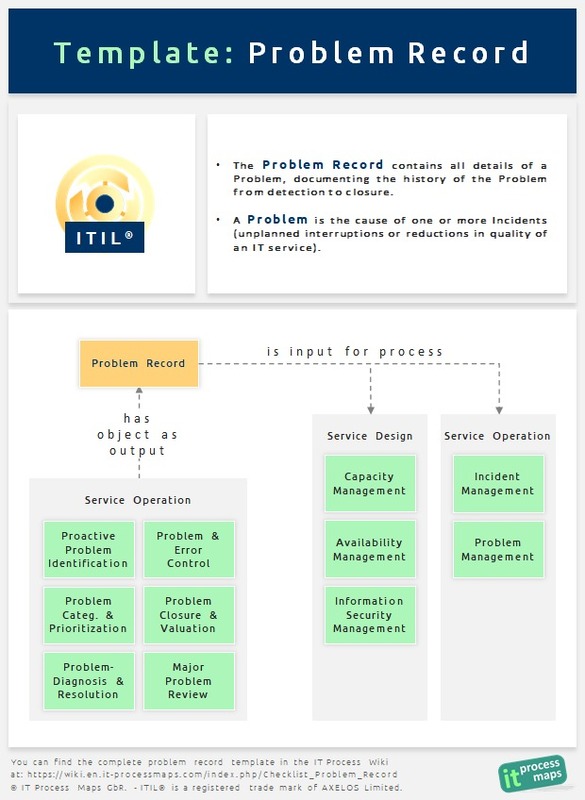 In ITIL, a "problem" is defined as the cause of one or more incidents. The "problem record" contains all details of a problem, documenting its history. Our IT Process Wiki contains a detailed problem record checklist. The template explains the structure of the data typically contained in a problem record, which describes the complete life cycle of a problem from identification to resolution. You can use this checklist as a template when you start creating problem records in your own organization.